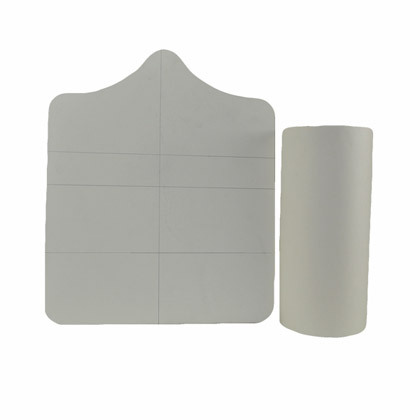 • 3802 LF Foil Resist Additive resists foil adhesion when applying foil in a heat press. • Use to create multi-color designs with foil sticking only to the desired areas of the design or print. 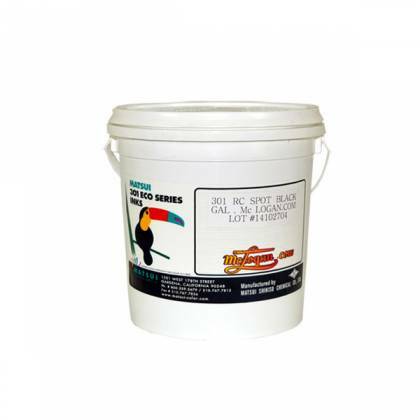 • Easily mixes into and works with most standard plastisol inks. • For use on 100% cotton and some cotton/polyester blends. 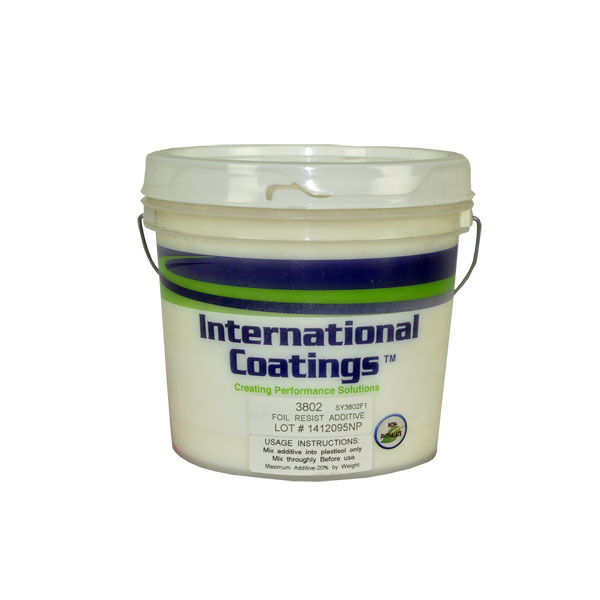 • Use in combination with International Coatings’ 3801 Foil Adhesive. 100% cotton and some cotton/polyester blends. Always test print and check for wash fastness and possible bleeding or dye migration. Modifying 3802 LF Foil Resist Additive is not recommended. 3802 LF Foil Resist Additive may slow down the flash times of some plastisol inks. 3802 LF Foil Resist Additive should spot dry, with very low after-flash tack, in 3 to 8 seconds depending on the spot dryer used and the ink the additive is mixed into. Too much heattime may cause the mixed ink to become sticky after flashing. Adjust flash unit accordingly. When spot drying, the ink should be just dry to the touch, with no lift off, but not totally fused. Totally fusing the ink mixed with 3802 LF may cause some adhesion problems with the foil that is being applied. Final curing/fusing should occur in the dryer. 1. For best foil application results, it is important to apply foil within 24 hours of printing. 2. 3802 LF Foil Resist Additive and its use should be thoroughly tested for wash fastness before beginning a production run. Due to the difference in inks that the additive may be added to and the difference in the type of foils used, prior testing before beginning production is strongly recommended to help insure proper performance of the combined products. 3. The 3802 LF Foil Resist Additive is not a bleed resistant product and should be tested when used on fabrics where bleeding or dye migration may occur. Bleeding or dye migration may not occur right away. 4. Always stir 3802 LF Foil Resist Additive and mix thoroughly into other inks before using (maximum 10% to 15%) by weight. 5. Do not use 3802 LF Foil Resist Additive as is. The additive must be mixed into another ink before use. 6. On some fabrics, wicking to the side of the image may occur if too much 3802 LF is used in the mixed ink. Test to make sure this is not happening before and after the foil application process.